As manufacturers’ we have the ability to design and produce our outdoor products. We also have amazing international and local designers creating our pieces. Teak Warehouse has many creative pure and organic outdoor pieces, our Raw Maxwell Concrete Coffee Table is one of these pieces. They can always complete the look you are after. This is why we are always excited with our lightweight concrete products. Raw Maxwell Concrete Coffee Table is one of those easy design pieces that will fit into any space you wish. A perfect for anything type of product. It is made of lightweight concrete which is perfect for many tasks. This is the fuss free minimal clever design we love. 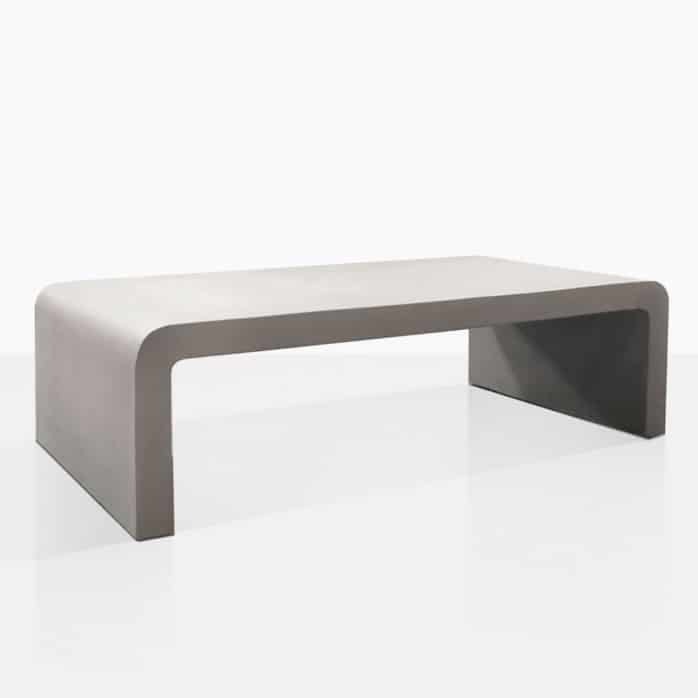 Made with concrete and fiberglass for lightness of weight and also with the fashion grey color of concrete this coffee table can move into many indoor/outdoor spaces. We love the look of this coffee table and the simplicity. You can decorate with many pieces. Serve many coffees. Sit and read many magazines and enjoy lots of fun conversations.